Argentinian pay TV service providers CableVideo and Cosecor have turned to Kudelski Group-owned Conax to provide security services and technology. The regional operators have chosen to adopt technology and services from Conax and regional partner, BOLD MSS, to drive expansion in pay TV and multi-DRM content offerings. 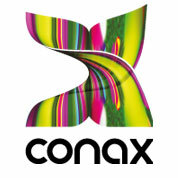 CableVideo is migrating its existing security platforms to a new system from Conax including OTT services. Colsecor, a cooperative made up of operators from around Argentina, has deployed a pay TV platform secured by Conax Contego content protection, giving its members the flexibility to develop OTT consumer offerings in the future.